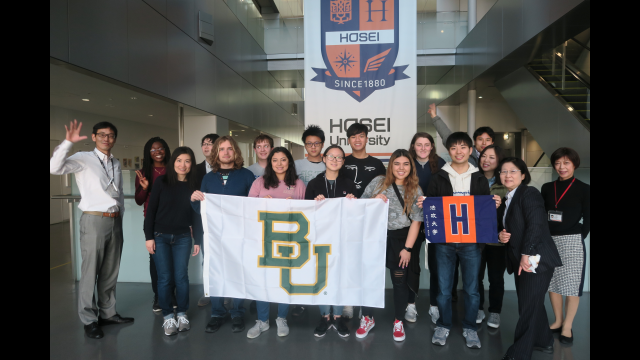 The Baylor team of students from various academic disciplines traveled to Tokyo and Fukuoka to serve with local organizations focused on fighting childhood poverty. 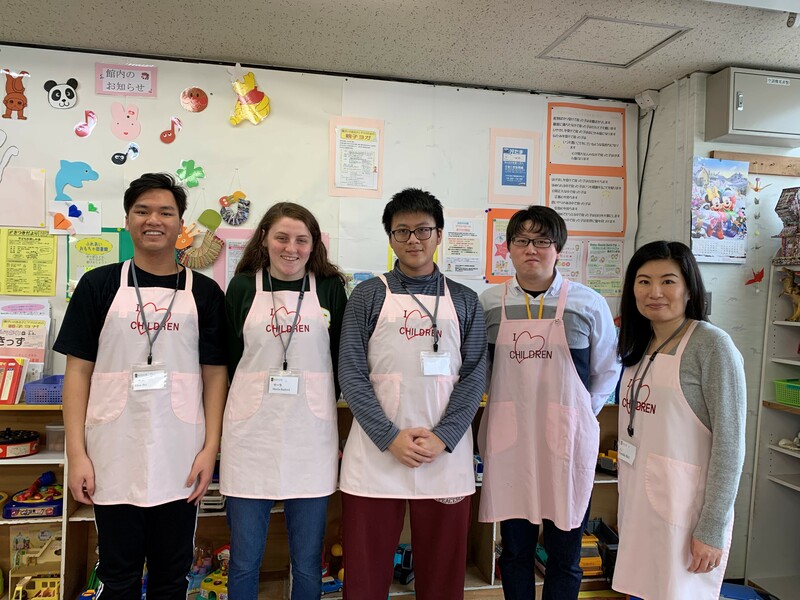 The team volunteered at local facilities to provide free and discounted meals, worked alongside college students at partnering universities, including Hosei University in Tokyo and Seinan Gakuin University in Fukuoka. Despite the language barrier, students from both countries joined together to learn collaborative cross-cultural communication skills. 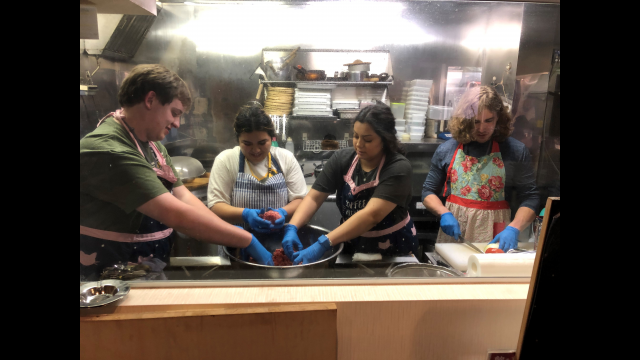 On their first day in Tokyo, one group worked in a kodomo shokudo, or a free or reduced-price meal community diner run by volunteers, where they made tacos and s’mores for dinner. One child who had an eating disorder tried the tortillas and enjoyed tacos, and another child who had an attendance issue was encouraged to study English, Gaines said. Other groups volunteered at Toy Libraries, which assists single mothers or new parents. 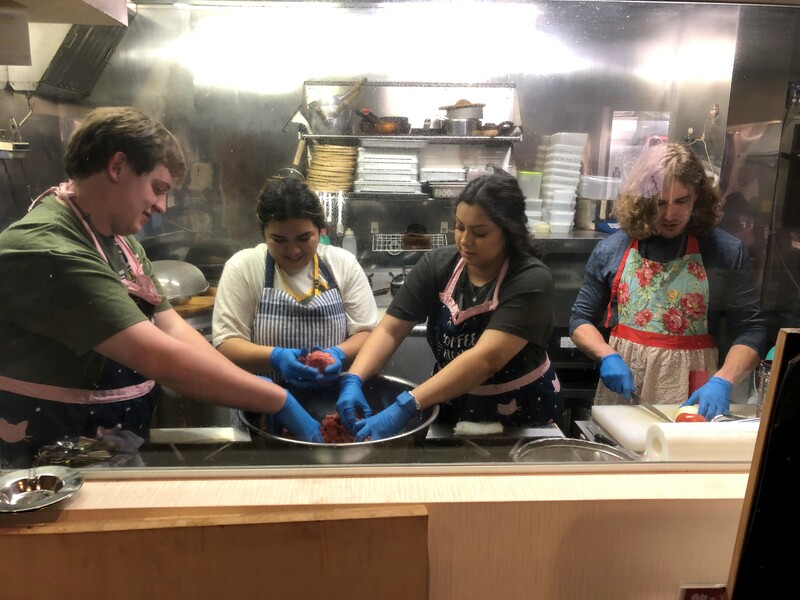 On their last day in Tokyo, the group visited the Hosei University campus, while also learning how to prepare sushi and yakitori alongside Hosei students. 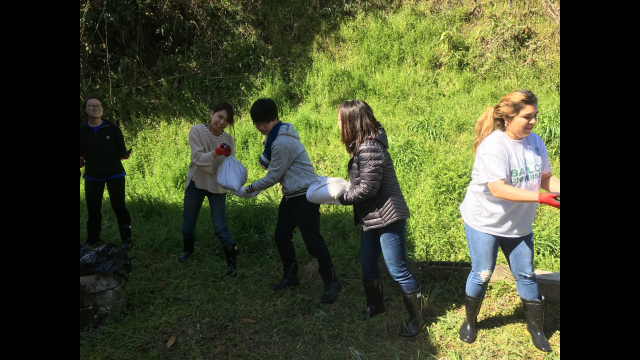 From Tokyo, volunteers flew to Fukuoka and visited the Asakura District, which was devastated by flooding and mudslides in 2017. 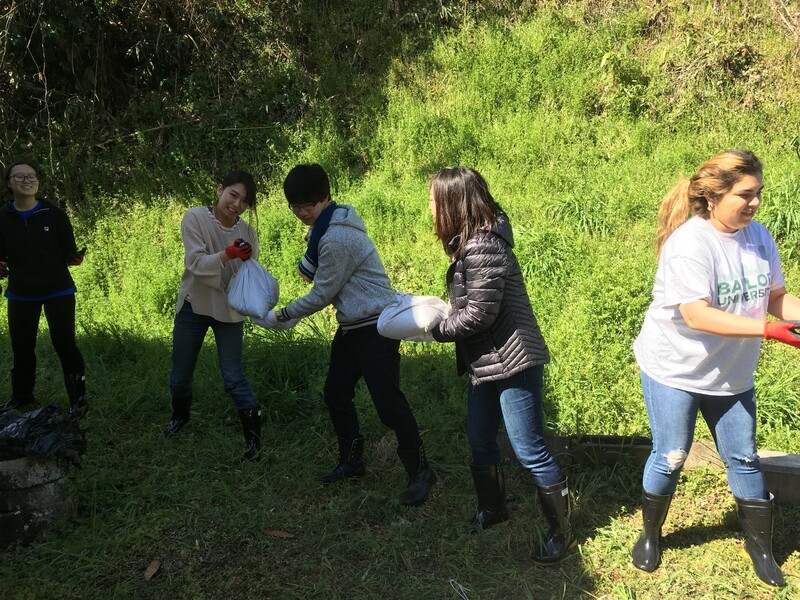 Students helped make sandbags for a family who recently had a landslide behind their house. 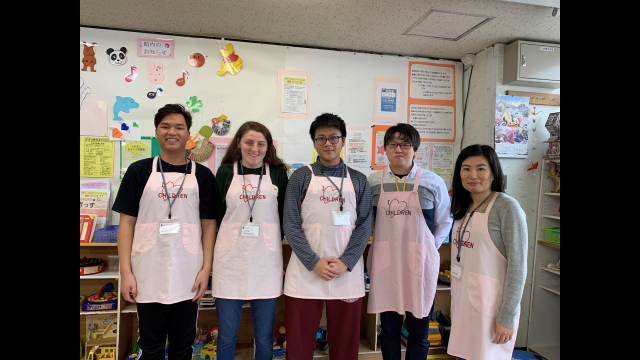 They also visited Haki Elementary School in Asakura and engaged in a cultural exchange with fifth and sixth graders while helping them with their English. While in Fukuoka, students volunteered at two komodo shokudos. One was called Nana Café, where they cooked several dishes for guests and presented on American holidays. Fitting said the most moving aspect was the time he spent with families at the café. Later, Baylor volunteers visited the Baptist-run Hisayama Residence Care for people with severe disabilities to engage in cultural exchange with residents and volunteered in another komodo shokudo. Volunteers from the komodo shokudo took the group on a trip to see the Sasaguri area where they were treated to a traditional Matcha green tea. On their last day in Fukuoka, volunteers visited Seinan Gakuin University as well as its Bible Botanical Garden and Bible Museum, and they attended a Taiko Japanese drum performance. 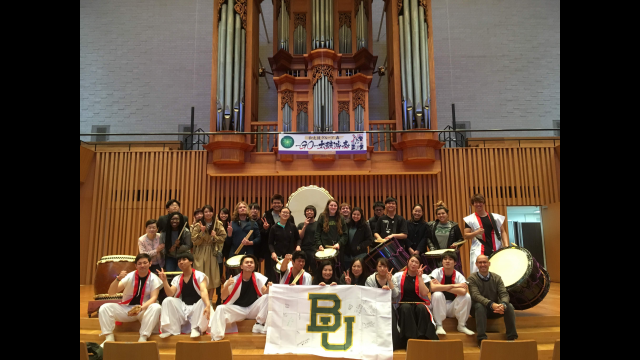 Seinan Gakuin University students accompanied the Baylor group to help volunteer and communicate with residents of Fukuoka. 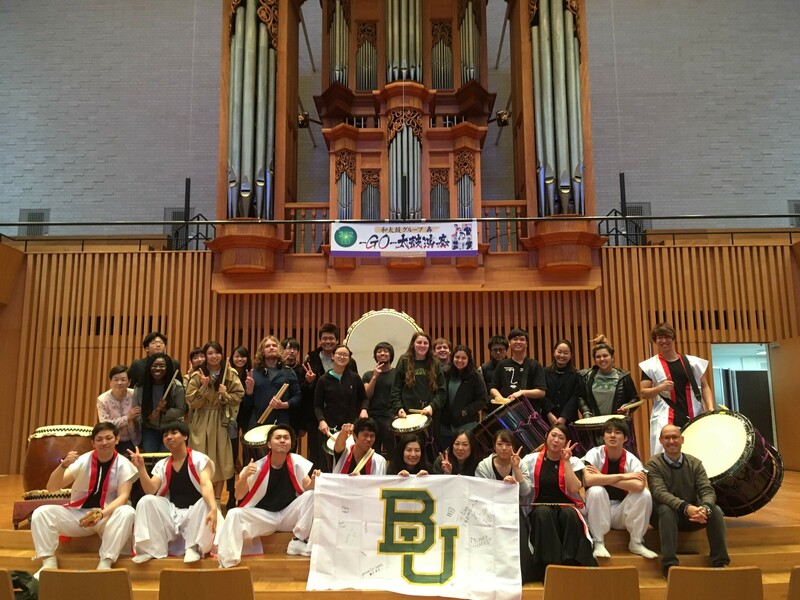 Through this collaboration, Baylor students used cross-cultural skills to learn how Japan is combating childhood poverty in several ways. One way is through food pantries, where citizens and corporations collect leftovers and uneaten food and help distribute it to those who are in need, so nothing is wasted. One Fukuoka komodo shokudos where the group volunteered is supported by the Green Co-op, which has 200,000 members who pay $1 per month to enable places like komodo shokudos to purchase what is needed instead of what is free. For more information, visit the Baylor Missions website. 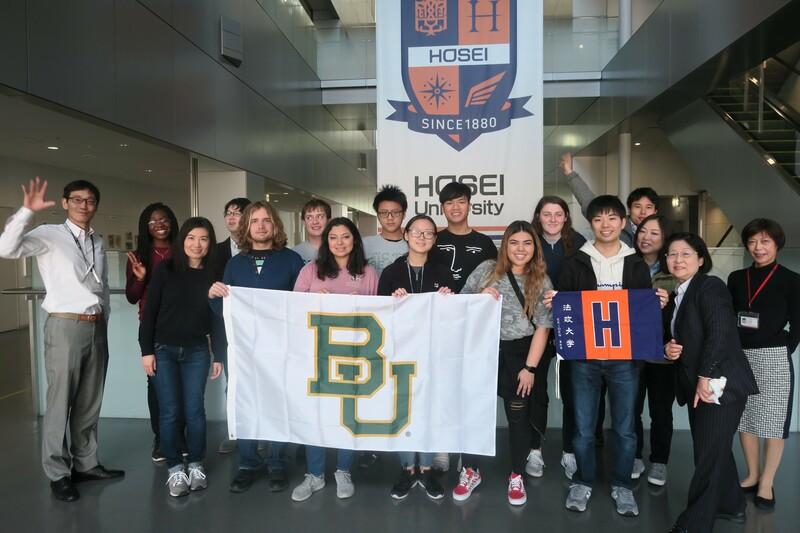 BU Missions seeks to create tangible opportunities for students to understand how they can use the knowledge and skills they gain here at Baylor University to love people around the world and in the Waco community. As part of the Office of Spiritual Life at Baylor, our Mission is to nurture theological depth, spiritual wholeness and missional living in the students, staff and faculty at Baylor by offering integrated formational programming, transformative missional experiences, competent pastoral care and worship that is responsive to the Christian Tradition and sensitive to the culture. Global Missions collaborates with faculty and staff from a variety of disciplines and backgrounds along with our global partners to implement spiritually rich and challenging experiences for our students. It is our hope that the students who participate in our trips not only enjoy the experience (which is important), but also discover a sense of vocation and calling as they see first-hand how they can use their discipline to serve.